When I posted my first recipe last week for Chocolate Thumbprint Cookies, I mentioned that it was one of my top two favorite cookies on our trays each year (I’ll let you know what my other favorite is when I post it.) However, the thing about cookie trays is that everyone has their own favorites. Mine tend to be all the ones that are heavily chocolate chip based, but not everyone’s are. I had a near meltdown when I realized we were totally out of any sprinkles for the tops of the cookies. I recovered when I found red and green stars instead. Today’s recipe is for Brown Eyed Susans, which are my brother’s favorites. I might have one each year, but he *loves* them. They’re good and easy to make. I hope you’ll try them! Here’s what the cookies look like as they are rolled and then as they are flattened. Roll into about 1 level tablespoon ball and place on greased cookie sheet. I find that if you fill all your baking sheets with the rolled and flattened cookies first, you can use the baking time to make up the frosting so that it’s ready for you to frost them while they’re warm. These look pretty with any sort of decorations on top, but we normally use sprinkes as shown here. 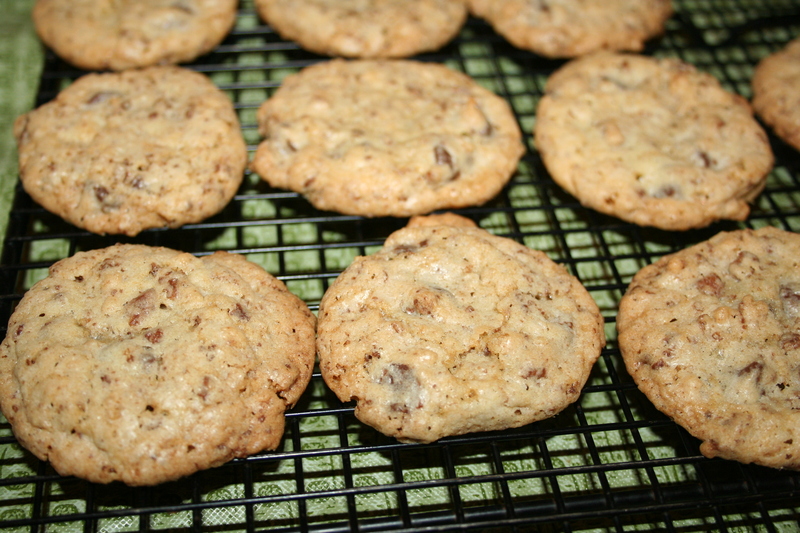 **I found that the 1/2 tsp measure on top of each cookie is important. 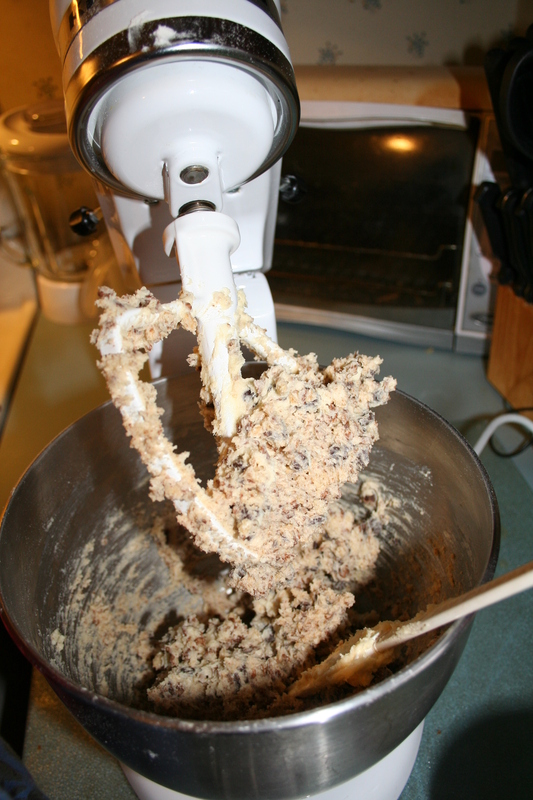 If you use just any spoon to frost them you run out of frosting because too much goes onto the cookies and then drips off the cookies onto the wax paper and then you have to make another batch of frosting. 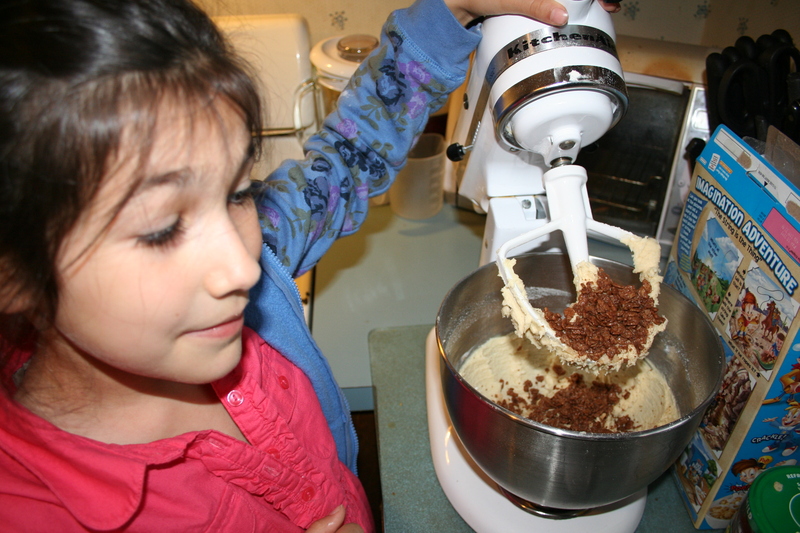 Sprinkle colored sprinkles or chocolate sprinkles (or place an almond, or whatever you’d like,) on top. This is also a good “job” for kids to do, decorating the tops of the frosted cookies, that and running their fingers all over the waxed paper where the chocolate has dripped once the cookies are safely removed! A single recipe makes about 36 cookies. Categories books, chocolate chips, Christmas, Christmas Cookies, Cooking with Kids, dessert, Jennifer L. Cowart, Kids, Motherhood, Parenthood, Recipes, Your Tray or Mine?